Madurai may have ceased to be the capital city once it was, but still retains the title –“Cultural Capital of Tamilnadu”. 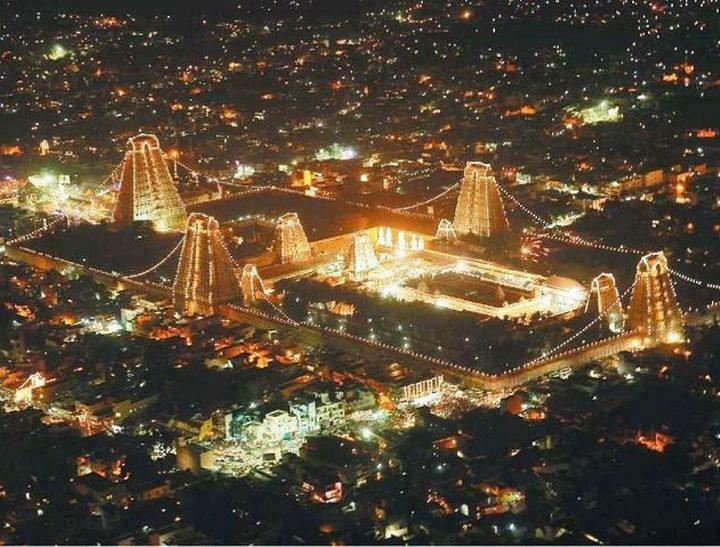 One of the oldest inhabited cities in India, any mention about Tamil culture- whether literature, lifestyle, food, heritage or history cannot be complete without mentioning Madurai. Digging deep down the lanes of history, origins of the 2500 year old city on the banks of Vaigai River were humble yet elegant. The electrifying fact could be that even in those days, it was involved in global trade and exported to China, Mesopotamia & as far as Rome. Madurai is referred as “Athens of the East” because of striking similarities in architecture, monuments, cultural heritage, and overall influence. The third Sangam of Tamil Scholars was held in Madurai. One can call the city as a synonym to Antiquity which was ruled by Pandyas, Cholas, Madurai Sultanate, Vijayanagar Empire, Madurai Nayaks, Carnatic Kingdom & the British. The rule of the Nayak dynasty oversaw construction of various temples in Indo-Dravidian style. Madurai, also known as Koodal (meaning assembly of scholars, referring to Sangam) and Naanmadakoodal (junction of four towers referring to four major temples of the city) is indeed a city of temples. 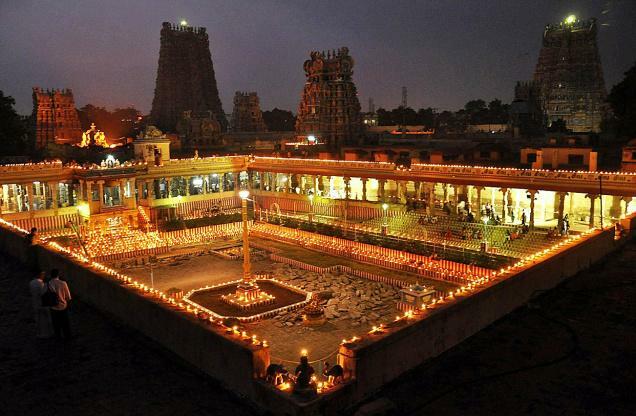 So, what does Madurai have to offer to its’ visitors? Let’s check out with the must visit places in and around Madurai. The iconic Meenkashi Temple, the symbol of Madurai, the mascot of Madurai or even call it the real identity around which Madurai built its’ image is dedicated to Devi Meenakshi (the consort of Lord Shiva who came to marry Meenakshi in the form of Lord Sundareshwarar). Meenakshi means the one having fish like eyes. The temple was built in around the 7th century by Kulasekara Pandya but was destroyed by Malik Kafur. It was re-built between 13th & 16th Century. The temple with 14 Gopurams or towers with intricate sculpture and carvings was built between 13th & 15th Century. The tallest of the towers, the Southern tower is about 52 meters in height. The broad view of the sculpture is depicting gods & goddesses, animals and other mythological figures, all painted in multicolour. Four of the Gopurams in four directions serve as entrances to the temple. Much of the construction of the temple was carried out during the rule of Thirumalai Nayak, between 1623 A.D & 1655 A.D. Amazing part of the engineering in the temple are five musical pillars, each consisting of 22 smaller pillars, which produce different musical notes when tapped. Entry into the temple is through the Ashta Shakti Mandapam (Mandapam means hall) to sequentially worship Devi Meenakshi & then Lord Sundareshwarar. The scriptural representation of Devi’s wedding adorns the entrance. The Garbha Griha is decorated with 1008 brass lamps. Parrots, trained to call Devi Meenakshi are kept in cages (Kilikootu Mandapam). Devi Meenakshi stands with flowers bouquet and a parrot in the garbha griha. The Kampathadi Mandapam is the most attractive of the lot with awe inspiring art work and sculpture. There are eight pillars, each depicting Lord Shiva in different forms. The Dashavataram of Lord Vishnu also finds mention. Sculpture of Devi Meenakshi’s wedding is the eye catcher of all. Sundareshwarar Mandapam, housing the Shiva Linga is adorned with the trunk of Kadamba tree. Valliambalam has Lord Nataraja with a rare posture of having his right leg raised, to please his devotee Raja Shekara Pandian of Madurai. The temple hosts the Chitthirai festival, which enacts the wedding of Lord Shiva with Meenakshi (Meenakshi Thirukalyanam). 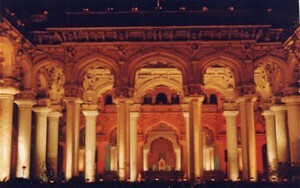 The hall standing on 1000 pillars was built by Ariyanatha Mudaliar, has his sculpture welcoming the guests. From a position, about 985 out of the 1000 pillars can be seen in straight line, indeed an astonishing architecture. The temple attracts about 15000 visitors daily and above 25000 on Fridays. Feel the smell of dhoop, vibhuthi, and chandan, and the unforgettable ambience of a typical South Indian temple. Located about 2 Km from the Meenakshi Temple, Tirumalai Nayak Palace was built in 1636 by Raja Tirumalai Nayak. The current building was the main palace while the entire palace complex was much larger in olden times. The building was constructed with inputs from an Italian architect, and hence is a fusion of Indian & European architecture. The building is renowned for its’ grand arches & work on the dome. The structure was restored by the British Administration and subsequently by ASI. The main entrance, main hall and the dance hall are few remnants of the magnificent structure. 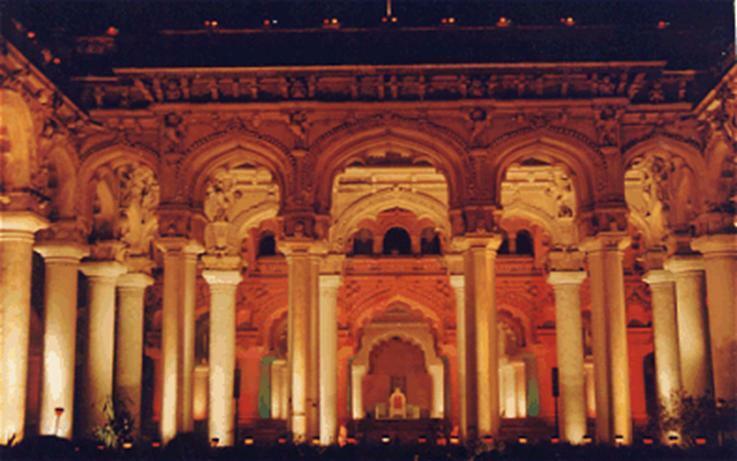 The palace runs a Light & Sound show about the story of Silapathikaram, in Tamil & English. It is showcased in evening. It is one of the 6 major pilgrimage centres dedicated to Lord Skanda or Lord Muruga. This temple is believed to be the place where Lord Muruga married Devasena. The innermost shrine is cut out of a solid rock. It has excellent architecture and the complex houses an Islamic shrine dedicated to Secundar. It was his visit to the city of Madurai, following which Mahatma Gandhi shed his clothing style and adorned the loin dhoti. The museum is housed in a building constructed by Nayak queen in 1670. The museum was inaugurated in 1959. Photos, biographic moments, replica of relics of Gandhiji and other related items are on display. The premises have an open air theatre and a library dedicated to books written by Mahatma Gandhi. Jainism has given the world some of the best architectural and sculpture work. One more location to enjoy the craft is Samanar Hills, where caves ornamented with carvings as old as 1st century A.D. were found. The location is about 10 Km from Meenakshi temple. Serene Atmosphere offers a good break from the noise & hustle bustle. The chief deity is Lord Vishnu. The Gopuram is fascinating with art work in multicolour. The ancient temple is a standing specimen of the patron kings who encouraged art & architecture. The panoramic surroundings make the place a worth visit. The second of the six abodes of Lord Skanda, the Cholai is located on a hill top. Elegant art-work is appreciated. The steps to the temple are giant and require an effort to climb. The temple receives about 10000 visitors every day. The number swells during Sashti (Sixth date of month) & festivals like Panguni Uthiram, Thai Poosam, Chittira Pornami & during Agni Nakshatram (Core of Summer), Vaikasi, Aani Abhishekam, Kandhar Shasti & Karthigai. During the Tamil month of Margarzhi, the temple premises open at 04:00 in the morning and recitals of various bhajans take place. Teppakulam means a pond. Mariamman Teppakulam is a beautiful square tank covering almost 16 acres located about 5 Km of Meenakshi amman temple. Teppai is a floating structure, is displayed floating marking the birth of King Tirumalai Nayak. The festival is held during January/ February and draws hordes of visitors as well as locals. The place is a pillared entrance hall opposite the Meenakshi temple’s east tower. The place has withstood over 400 years and houses stalls of art work, fashion accessories, fabrics, handicrafts, theological items and much more. 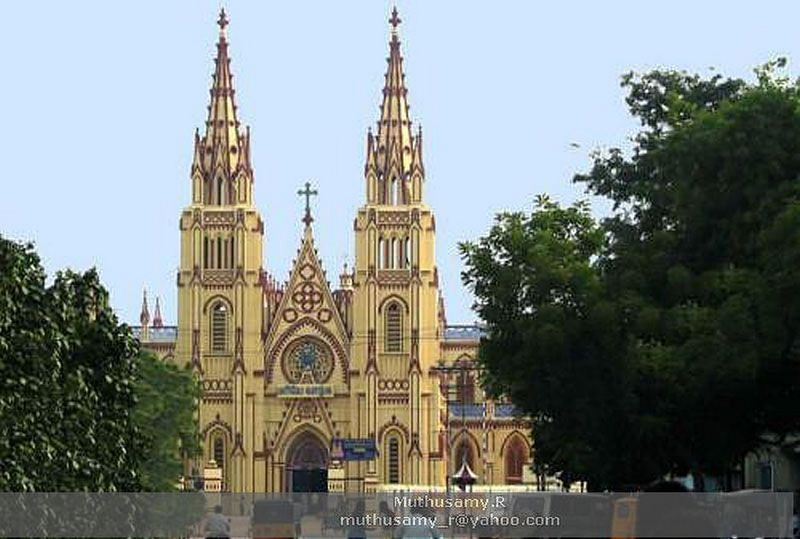 The church is one of the oldest Catholic churches in India. The 2 tall bell towers are major attractions of the place. The calmness and the pious environment retain the visitors and compel them to spend time over the place. 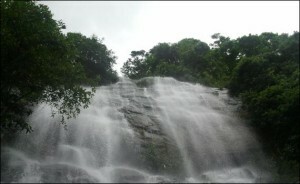 The amazing waterfalls are located about 30 Km from Madurai city. The adjacent reserve forests are managed by Tamilnadu Forest Department. The falls about 27 metres in height offer a lovely hang-out point for one & all. Waterfalls are dry in summers, but the monsoon season between September & February totally alters the experience. Located about 70 Km from Madurai, the dam and the reservoir make an excellent picnic spot. The scenic beauty scores high and enthrals the visitors. There is a bridge joining two sides of the dam and a walk through it is a thrilling experience. What to experience in Madurai? As much as the city is lively & vibrant, the festivals are colourful and celebrated with much pomp & show. So you can plan your trip to the city and participate in the festivities with fervour. Madurai celebrates Pongal, the harvest festival in the grandest manner. The Sweet Pongal, payasam, and other delicacies are mouth watering. The Jallikattu or Indian bull fighting & taming is famous worldwide. The festival falls on Makar Sankranti & subsequent days every year. Chittirai Pornami at Skanda temples allows you to merge with the divine. The usual time of the festivities is beginning of April. Madurai is famous for cotton fabrics, silk, embroidery work & contemporary fabrics. East Masi Street, Townhall road & market outside Meenakshi temple are good places to explore and enrich your collection. Haggling can get you good deals. Government handicraft shops offer handicraft items, pickles, fabrics & other ethnic commodities at reasonable rates. Madurai Airport is about 10 Km from the city and brings in flights from all parts of the country. Nearest International Airport is Chennai. Taxis & Auto-Rickshaw make transport from Airport to the city an easy affair. Madurai Railway Junction is well connected to major cities of India. Chennai- Madurai journey takes about 7 hours. There are multiple trains running between the stations. Good roads & state highways make Madurai trip a fun filled one. Buses & private transport vehicles are available round the clock from the city bus stop.